The teen years are about having fun and preparing for the future. But which skills do you need to develop if you want to experience more success and happiness? 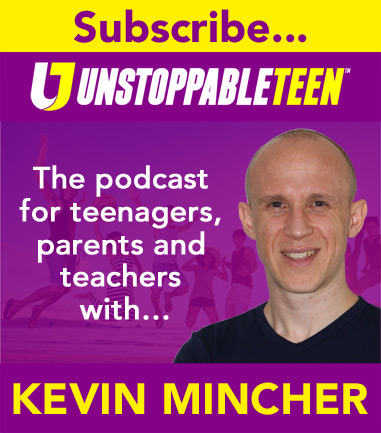 In this episode of The Unstoppable Teen Podcast Kevin reveals the 5 elements of our LIFE+P curriculum. These are the 5 skillsets that successful people like Michael Jordan, Richard Branson and Katie Couric have mastered; they form the basis of everything we do here at Unstoppable Teen. Please make a donation to Unstoppable Teen so we can give our education resources and seminars to young people who come from challenging backgrounds and need our help most.